[…] The chief characteristic of this performance is the unbridled energy of the orchestra. Time and again, in fast music, the violins speed towards the end of a phrase like a bull charging a gate; further impetus comes from swelling on tied notes. Tamerlano’s first aria is marked by heavy accents, while the strings surge and stab away in Bajazet’s exciting ‘Ciel e terra’. It is immensely invigorating, but there are calmer episodes too: soft clarinets for Irene’s siciliano and gentle recorders for ‘Vivo in te’, a duet in the vein of ‘Io t’abbraccio’ in the following year’s Rodelinda. Petrou’s account of the 1724 version, recitatives and all, is still to be prized. There are good things in Pinnock’s live recording (1731, roughly, minus four arias). But newcomers should start with this throat-grabbing performance from Riccardo Minasi and Il Pomo d’Oro. Conductor Riccardo Minasi’s conducting is second to none, too, and the work’s severity and sensuousness are wonderfully captured by Il Pomo d’Oro. 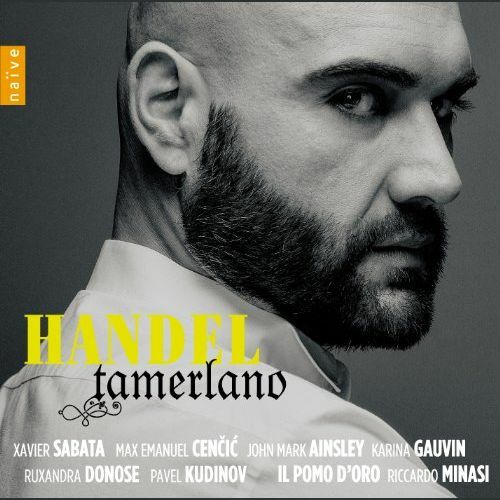 This is one of the great Handel recordings and very highly recommended.